Content marketing involves writing clear, fluent and high-quality content that will be able to promote the product it describes. High-quality content is likely to archive a high search engine ranking meaning it will be read by a large number of potential customers. The idea in content marketing is that the content should not only be read by a high number of potential customers, but also be persuasive enough to change the readers to customers and customers to fans. The primary goal of content marketing is making money from these contents but it is also possible the contents can lead to conversions if written by an experienced writer. Converting content is very important for successful content marketing. Below, are some of the ways in which you can make content marketing converting. Exactness is very important in building trust since it shows that your content is detailed and specialized in certain areas. Such content creates the urge to read more since what you are reading is well organized and to the point. Take an example of the titles “Learn about the hundreds of new baking companies” and “Learn about the 4,500 new baking companies in the U.S.”. When searching for information about baking companies, most people would choose the second title because it is specific and it is clear about what it is giving information about. This is the type of content you will read with all your concentration work by word till you finish reading it. In such cases it is likely that the text will provide you with the information you were not aware of before, thus changing your perception about baking. Writing content that follows the rules, doesn’t go outside the topic of discussion, is straightforward and clear ensures your work is understood by all your audience. It is wise not to write the full content from your own personal thoughts since it is likely that you will go out of topic or lose clarity in your content. Such kind of content may generate readers, but it is doubtful those readers will turn into clients. Your content should not only inform your readers but also be clear enough to benefit them so that it can increase the awareness of your brand. To create that kind of content, you should give an introduction of your topic, explain in an easy to comprehend language how it affects your readers, list your recommendations on how to face and benefit from the issue and provide clear gated content as a call for action discussing how the issues will affect your clients in the future. Clear content is easy to understand and if the content is easy to understand, then readers will continue reading it until they finish it and sometimes even go beyond what they were searching for. Some sites give clear information in financing home improvements that is to-the-point and clear. This way the content may change their standpoint in many ways although the content was initially made for content marketing not for converting them. Questions are a very important weapon to the writers because of their interactive nature and their tendency to hook readers in the content by creating curiosity. They work well for conversion-oriented contents since they give room to the reader to frame a response. Take the example of the following two headlines, “Are you struggling with roofing problems? Here are 5 ways of getting the best roofing for your home” and “5 best roofing techniques”. The question in the first headline makes it more interactive and persuasive than the second one and it is obvious that majority of the readers will choose the first headline since it looks more informative about roofing. The first impression is very crucial since readers will judge your content by it since there are other contents they can choose to get the information they need from. Questions make your content stand out from the rest thus increasing the chances for it to be chosen by readers and changing their perspective on the topic being discussed in the content. Good content should reduce the reader’s anxiety by providing them with detailed information on the areas they are concerned with and showing them that the content they are getting the information from is credible and it comes from an experienced source who knows their needs and wants. Trust is a vital requirement for you to be successful in content marketing and cutting anxiety by providing high-quality contents for the readers is one way of ensuring that success. In your content, you should be able to describe how you, or a current customer, overcame similar problems that you were facing and what role your company’s products and tools played in addressing similar issues. You should also share your real life and personal experience that your audience can relate to. This is a quick way of establishing trust between you and your clients and ones it is fully established, a lot of readers will look for your contents which are the aim of content marketing. It is very possible for readers to get converted by such kind of contents since they give the real-life experience and that is what many readers are looking for. In your content, you should give advice on the issues discussed but the readers will only believe you if your content is informative, dedicated to solving your reader’s problems and educational. For example, if your content is about the different types of leather, you should give detailed information about those types and give an advice on the qualities to consider when purchasing a leather item. If in your content you had limited information about those different types, readers will find it difficult to trust in your advice. Detailed content shows you are familiar with what you are writing about and it is very easy to change the reader’s standpoint in the process. It is without any doubts that I say that in content marketing it is possible to change the reader’s point of view or convert him/her through a well written, persuasive content. Conversion-oriented writing grabs the readers’ attention, keeps them engaged throughout the content and encourages them to click on a CTA (Call to Action) to change readers into paying customers. Don’t forget to manage your leads efficiently to maximize those content leads/conversions. Schedule a free strategy session with one of our marketing consultants. When talking about contents, Google would love to see originality. Something that is fresh and unique. Sharing blog posts, white paper, newsletter or case studies, email and social media platforms such as Facebook, Instagram and Snapchat are a huge help for content marketing success. However, content marketing in Australia is constantly changing. So it is important for marketing managers and business owners to be aware and adapt to these changes. But how is Australia-specific content differ from the generic ones? Whether you’re writing for a specific software company, a mobile audience, or doing a news writing, here are a few guidelines to capture the attention of your audience. Contents must have a punchy, attention-grabbing titles. For example, if you’re targeting people who hate talking to a telemarketer, you can use this title to catch their attention and read your content. Site a problem that your audience can relate to. Make your audience feel like you understand them. Site for their pain points and address them by providing them tips on how to solve these issues. How to do this? Take your audience through steps. Break your ideas into steps. Use sub-headers and a short explanation to walk them through your idea. Also, Aussies want facts. So don’t forget to include references in your body. It could be a statistics found from a well-known site, a photo or an embedded video, as long as it has relevance to your topic or text, they can be an added value to your piece. Tails are often a statement relating to your story. It should be completed with conviction. Conclusions are meant for readers to understand why your idea about the whole content should matter to them. It doesn’t have to be a summary but it should include key points that show your readers the value of your argument. You may also include CTAs at the tail of your content in case your audience would want to find more information or get help. This year’s content marketing is all about keeping up with these changes. Not all of these may work with your content marketing strategy, but I hope these guidelines will give you an idea how to write your next article for your Aussie readers. Entrepreneurs are eager beavers when it comes right down to absorbing as much information as their journals and idea books can handle. For businesses in Australia, it really pays to pay attention to those blogs and websites offering an ample amount of relevant information. For sure, blogs are still a driving force in generating quality leads for enterprises across various industries, and Australian businesses need to make a big deal out of this. B2B businesses, in fact, spend most of their time blogging or seeking blogs that offer something new to the table. Apparently, only a few of these blogs really do stand out from a sea of rehashed content and bad links. These blogs are excellent in their own right, which makes, even more, sense to follow them on the dot. Who knows?Maybe you’ll consider having a beer with the masterminds behind these stellar blogs. Let’s start off the list with one such website that specializes in the finance and banking industries. The Bank Doctor is certainly your go-to place for anything related to insurance, jumpstarting a business, or buying the right solutions to financing in general. Want you to fill with industry insights and market performances? Market Economics is one such blog that offers a wide range of information on local and global business trends. The articles published on this blog will certainly help you face certain problems ahead. Personnel management and recruitment can be tricky to up and coming business enterprises. Luckily, Wattsnext maintains a blog that gives a lot of information about crucial human resources concerns and issues. More than just marketing platforms, blogs also focus on bridging the gaps between organizations and their target audiences. The Story of Telling highlights this in all of its content, focusing mainly on helping businesses improve their branding through sentimental articles and web page design that has the word “intimacy” written all over it. 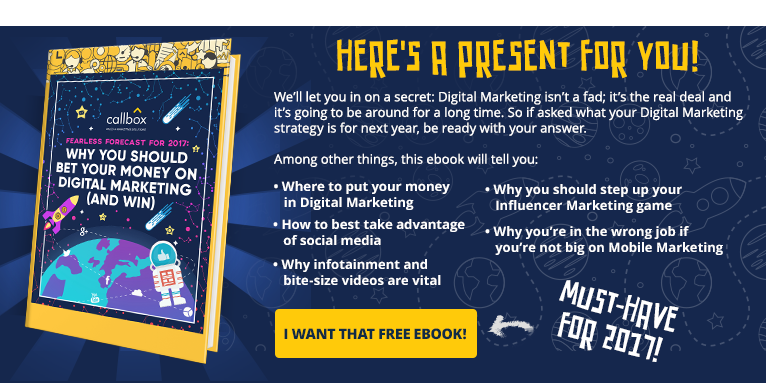 Want the latest tips in digital marketing? Look no further than ECommerce Blog. The site offers a wide range of knowledge that specifically focuses on improving the digital presence of the business, from conceptualization right down to implementation. No doubt that copywriting is an essential activity in marketing. And this has justified Copywriter Matters’ existence as a blog that touches on making advertisements that resonate with one’s audience. If reading isn’t your thing, then you might find the podcasts on Bluewire Media appealing. From content marketing to grow your mailing list, the blog is an essential way for you to make the most out of your online presence. Another important source of all things copywriting and (more importantly) social media, Socially Sorted is basically your best choice for increasing your clout, whether it be via Facebook, Twitter or YouTube. When it comes right down to securing safer working environments to employees, Safety at Work is one such blog that has everything. From news and commentary on workplace safety to analysis of current trends in working environments across Australia, this blog keeps you updated on what you need to secure better working conditions for your beloved employees. Being an influencer has its perks. For Naomi Simson, however, it is an opportunity to share important business advice. Ever since she started Red Balloon with just a startup of $25,000, Simson has become the business world’s most sought-after gurus on success. Another noteworthy Australian influencer, Jane Copeland has some pieces of advice that you need to expand your brand’s influence and make it reach the top of your industry. Want to keep your creative juices flowing? The Design School blog is here to provide important tidbits that can help your content stir some imagination in your audience. Check out the tutorials on how to make graphics that are sure to catch the attention of the right people. Australian’s love food, which is the reason why Christina Soong maintains a blog that offers recipes. On top of that, she writes topics on how to handle small businesses with finesse, which is something that entrepreneurs should always aim for. What does it take to become an Australian blogger? Flying Solo answers these questions by becoming an important content curating platform for a variety of industries. We just can’t get enough of bloggers! Valerie Khoo is especially one of those darlings of the Australian blogosphere that has her eye on the aesthetic side of the business. Being a writer and an artist herself, she crafts articles that tell a lot of about translating ideas and passions into profitable ventures. As a writer, coming up with an idea is hard. Regardless how much I love writing, there’s always a time when I need to find inspiration from different sources to create contents that are educational and could inspire my readers. I’ve listed some of the top places where I usually get my content inspiration. If you need to write something but you’re bored and can’t think of anything, go ahead and give these tool a try. instaGrok lets you learn and research about any topic. For instance, I would like to research for topics about Marketing Automation. Please see below. instaGrok provides clickable keywords, videos, website and images that can help you understand more about marketing automation. Google Trends has a feature that shows subtopics for you to explore that can give you more insights about your topic. It even lets you compare different topics and identify which topic interests your audience per region. Find out what influencers are talking about. This tool can provide you inspiration and better insights about a popular topic or subtopics you wish to write about. Check out this Dummies Guide for Content Marketing! Metareddits. Search your topic keywords to find related subreddits. TIP: Sort subreddits by “top” or “all time” to find specific content related to your topic. Reddits List or Reddit Metrics. It lets you see what niche-specific subreddits are more popular. is a place to gain and share knowledge and discuss topic ranging from personal to business queries. As a matter of fact we created a blog post based on this question from quora. Answering Quora: Is there such thing as a good B2B lead Generation Company? 6. I use my personal life experience. For example, Before I became a content writer, I was a salesperson. My years of experience as a sales rep let me create informative topics by providing my readers some tips and techniques that they can apply within their sales team. Distractions such as mobile, emails, facebook, Twitter, etc will always be there. If you think you’re stuck, you don’t need to feel miserable. These places will help you find inspiration for your next article as much as it helped me find mine. Check out our Blog for more Marketing and Management Tips! It’s been around for centuries. An overwhelming 88% of all brands use it. Chances are, the maker of that laptop you’re reading this article from has used it to its advantage, too. A study showed 25% of marketing budgets are spent on it. That’s $1.8 million per company, on average. Financial institutions, retailers, toys, appliances, and almost all sorts of consumer products have benefited from it. That’s content marketing and that’s how long a shadow it casts on all of business. Content marketing is, literally (and flippantly), using content for marketing. Its purpose is to attract and retain customers by consistently creating relevant and valuable content with the intention of changing or enhancing consumer behavior. Basically, content marketing is the art of communicating with your potential customers in a way that would encourage them to buy your product, now or in the future. But instead of pitching your products or services like a hard sell, you are delivering information that makes your buyer more intelligent. The point is simple: feed them with valuable information and they will return the favor by patronizing our product. One classic example is what Procter & Gamble did in the 1930’s. A leading soap manufacturer, it sponsored content – radio dramas which featured related storylines about the lives of many characters. The stories usually focused on emotional relationships to the point of melodrama. These were aimed at women who were cleaning their houses at the time of listening. Thus, “soap opera” was born. These days, content marketing has become more influential, encompassing all mass media. If you are to take full advantage of its potential, it is important to follow the simple content marketing outline below. What’s the most important reason you’re doing this? What do you expect your content is going to do for your company? Is it to generate buzz? Generate leads? Retain customers and clients? You have to have a clearly-defined set of goals based on your priority. But don’t forget this: the goal isn’t to be good at content marketing. The ultimate goal is to be good at business, and content marketing is just a means to an end. Your audience should be influenced by your objectives. One of the most common mistakes marketers do with content is when they mistakenly produce them as if they were the target market. Remember: you are not your audience. You are producing content that prospective consumers are supposed to like and relate to. Everybody has a story to tell. Ask yourself: what do I have that is going to set me apart? Do I have something that’s going to put me a cut above the rest? Your story identifies what your passions are and serves as the foundation for all your future content developments. Blog posts are often a company’s best opportunity to improve organic search rankings. Consequently, bloggers should be writing posts that help improve the site’s SEO, and drive organic traffic and leads. Their editorial should be informed by keyword research and optimized for SEO. Posts that teach readers how to do something; these typically perform very well in organic search if they align with long-tail search terms. Curated examples that can be informative, and thus also rather search-friendly, or simply entertaining. Example: Introducing: The Ultimate Lead Generation Kit To Jump start your Business! Posts that explain fundamental shifts in an industry, or ask the reader to rethink convention wisdom. Blog posts that primarily use visual content to tell a story. Premium or gated assets are typically longer form, and/or more time-intensive pieces that don’t exist on a blog. They might be used to generate leads or contacts, or for brand-building purposes. These are typically created by the dedicated long-form content creator if your team is large enough to have one, but sometimes bloggers get involved too, as blog posts are good testing grounds for what performs well and are thus worth investing in. Note: Links on examples below might lead you to a page asking for your email, don’t worry. All of which are gated content so it will need your email first before giving access to the content. An incredibly popular format typically presented as a PDF and redeemed behind a form. Often presented as a gated PDF or an ungated microsite. Though time-intensive, webinars may feature a guest speaker who brings his or her own audience, which can help broaden the top of the funnel. Recorded versions of webinars can live behind a landing page to extend their lifespan. Because they’re extremely utilitarian in nature, tools and templates often prove to be incredible for long-term lead generation despite the upfront resource-investment required. Regardless of team size, it’s common for visual content to be created by nearly everyone except, perhaps, the SEO specialist. While designers will do the bulk of the advanced creative work, bloggers, content creators, and social media managers will all get involved in lighter-weight design. Often, designers will also create templates for the writers on the team so they can be more independent — like creating ebook templates so premium content can be laid out by just about anyone with an InDesign license. These can be embedded in blog posts, and shared on social media. Some social media managers focus a lot of energy on SlideShare as a channel, and create content exclusively for it. Whether for YouTube or a blog post embed, short videos for the sake of entertainment or education can help you diversify your content portfolio and improve your SEO. Do you know what your audience Needs? You may have a great story, but you need to understand how you will optimize this for your users. What do your audiences need to know from you the most? Use social media plus feedback from customers and your internal personnel to better understand the requirements of your customers. Do you have a Content Execution Plan? Now that you’ve identified your audience, it’s time to know where and how they consume information. But you also have to understand that customers will need different types of content depending on which stage in the marketing funnel they are at. Set a schedule when you will release what content. Is it daily? Weekly? Bi-monthly? Does it follow a theme? When your prospects have something to look forward to, you have already half-succeeded. Do you know how to reach more People? Do you know if it’s working? To find out whether your content marketing is a success or not, you have to go back to your objectives and check what results you wanted to achieve. Needless to say, your objectives dictate your metrics. If you’re trying to generate awareness, measure that. But remember, it’s not all just about the number of “likes”, “shares” or “retweets” that matter. Blogs are known within B2B circles as excellent lead generators, accounting for about 67% of qualified leads and an ROI boost, according to Hubspot. Read more..
Christian is a Marketing Communications Associate at Callbox Inc. He’s worked with one of the leading TV networks in the country before moving to Callbox. He believes being relatively new in B2B marketing has an upside — it allows him to be an empty sponge thirsty for fresh knowledge, which he is ready to process and share with the world over. Follow Callbox Australia on twitter and Google plus! Blogs are known within B2B circles as excellent lead generators, accounting for about 67% of qualified leads and an ROI boost, according to Hubspot. It comes as no surprise that many marketing executives put a lot of heart and soul into their corporate blogs. However, one cannot discount that certain blog strategies can lead to mediocre results such as poor lead quality and a reduction of inbound links, impacting B2B lead generation and ultimately the bottom line. So, if you are in such situations, these tips from Pardot Senior Manager Adam Waid provide some necessary steps for improving your blog’s lead generation performance. Are you giving your visitors more reasons to stay on your blog? Offering readers another blog post or related resources (e.g., video, white paper, etc) gives them a reason to stay and click around your other content. Related post plugins like this can also help with SEO. Use call to action to lure more visitors or even more customers to sign up. Many marketers spend countless hours and dollars creating outstanding e-books and white papers only to use them sporadically in email campaigns. Apply a bit of creativity on your blog and showcase your solutions with an offer to download related content. Offering downloadable content on your blog increases your website’s secondary conversion points and is a great way to generate reconversions. I believe in what the psychology of free stuff in lead generation can do so be generous you’ll never know, the gains might double afterwards when your readers become one of your client. On an end note, implementing these strategies will not only give a much needed boost in your online lead generation activities, but will certainly put your brand front and center in terms of educating your market. They certainly work for us! and generate qualified leads like we do! 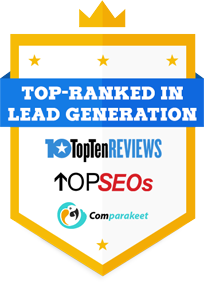 Need help in generating more qualified leads in Australia? Dial +61 2 9037 2248 now! Our Marketing Consultant will help you decide what marketing strategies best suit your marketing campaign. Every campaign requires a strategy. But not just any strategy – it should be well-rounded enough to initiate and sustain progress from start to finish. Some marketers think they only need to lay out a couple of bullet points and everything’s done. A marketing strategy, particularly one that thrives on content creation and distribution, needs to be carefully planned to ensure that your content not only effectively conveys a good message, but is also compelling enough to drive readers to perform an action. The key to effective content marketing is to be sharply focused. It’s virtually impossible to successfully market to everyone all at once, so instead you may find it easier if you concentrate your efforts where you think you can move the needle most. Regardless of who your target buyers are, it’s going to be virtually impossible to create content that resonates with them until you understand the unique context of their situation. In addition to knowing who your buyers are, you need to understand what they care about and what their path to making a purchase looks like. Once you understand who your target buyers are, what they care about, and the steps they take along their buyer journey, it’s time to figure out what actions you want them to take as result of consuming your content. Each of those actions is a conversion. Your content strategy should be centered around a set of smaller conversion goals that will collectively help propel them through the buyer’s journey. Another important aspect of content marketing strategy is deciding how you are going to initiate conversations with your target buyers, and get them to be receptive to receiving your content offerings. Always consider your buyer and their context when selecting a method of contact, and it must be effective enough to drive whatever conversion goals you have set. The next step in developing your content marketing strategy is to figure out how to pull it all together — i.e., how to align your contextual understanding of your buyers and their journey with your conversion goals, the points of contact you are going to use to deliver your content, and the actual content you are going to create. The best way to do that is by creating a matrix that will help you keep track of all these moving parts. The last major point to consider when developing a content strategy is how to tackle one of the biggest challenges many B2B content marketers say that they face: producing enough content to satisfy their buyers’ appetite. The best way to do so is by building a plan for repurposing, repackaging, and recycling the content you create for ongoing use. Traditional marketing has always involved the production of case studies to highlight the benefits (or counter-benefits) of a product, a concept, or a practice to a target market. But for a while, especially during the birth of the public world wide web, the use of case studies have slightly declined, mainly due to the preference over blogs and ‘personalized’ articles. Recently, though, many have seen the resurgence of case studies – now in PDF form instead of glossy papers – in the online marketing sphere. They’ve rediscovered the potential of compelling case studies in positioning a product or a brand in the awareness of the desired audiences. What are your goals and priorities? There might be a specific product or benefit that you wish to highlight, or a certain company size. Tactic #2: Identify customer stories. Not just any stories, but those that support your strategic goals. Seek a common customer problem with which other companies can identify. If you are trying to differentiate your company based on customer service, try blogging about a case study that reinforces the service message. Tactic #3: Invite clients to participate in case study. Start by sending out a brief email noting their success and inquiring if they’d like to share their story with a broader audience. The letter should be signed, or co-signed, by the employee who has the closest relationship with the client. The lead should raise a specific issue or problem that your client encountered. Make the challenge common enough that others outside of your business can identify with it. The next three paragraphs should be devoted to the meat of the story. What did you do to help your client solve their problem? How was the solution executed and by whom? What issues arose? 3) Proof – The most important part of your case study is actual, measurable results. How have your company’s products or services enhanced your client? Has there been growth or other positive outcomes that the client attributes to your product? Don’t just say it – show it! Use client quotations and photographs to increase credibility of your case study. In the best case scenario, prospects will take a specific action after reading your blog post. The idea is to motivate them to engage and interact with your brand. At the conclusion of your case study, ask your readers to share similar challenges. Provide a link to the product or service you have showcased and your contact information. Your lead generation effort is like trying to get people to go into your store. You put up signs, you display wonderful stuff by the window, you give out flyers to passersby, or you hire jugglers and violinists to attract attention. Whatever works. But that’s just the beginning part. The real action happens when people actually come in through the door, into your store. On a webpage, online marketers can put a lot of dazzling elements to make it pleasing to eye, but without an effective call-to-action, none of that would matter. It’s the ‘door’ that leads to opening up opportunities for a sale. This element is perhaps the most important: you have to make sure there actually is some kind of offer and call to action in the piece. We may think we’re so fascinating that all we have to do is introduce ourselves, and folks will come running, begging us to tell them more. But it doesn’t work that way. People will not take the time to figure out on their own what you want them to do. Make sure you always include a simple offer with a clear call to action, and use strong action words: Buy, Call, Act Now! This will motivate prospects to respond. Even if we like a product, and think we might order, the tendency is to think, “I’ll do it later.” And then later never comes. You can help overcome that reluctance to pull the trigger by making your offer time sensitive. Prospects must respond by a certain date or the offer will be void, or they will miss out on some add-on bonus. A variant of this is to say that quantities are limited and it’s first-come, first served. A powerful offer is boosted by the addition of a bonus item. If prospects order from this offer they will receive a gift, like a free report, a CD, a coaching session – whatever you feel will add value in the eyes of your prospects. A bonus tied to a time limit can be especially effective. Make it clear that the bonus will only be available for a limited time, or while supplies last. Finally, the bonus that works best for you is the one that is most appropriate to the aim and audience of the sales piece. Ask yourself what you’re trying to accomplish, and design your offer around that goal. As it turns out, B2B content marketing is not a one-size-fits-all platform. The substance of the content piece, as well as the manner by which it is delivered, can be a crucial factor in the depth of influence among its readers, especially for B2B buyers. And besides, lead generation has always been about catering to the needs of the prospects to persuade them to perform an action that would lead to a sales opportunity. To do that, marketers need to have a deep understanding of B2B buyers and how to customize each content piece to attract them. Researchers are typically junior employees whose boss has asked them to research a specific product or service. Although these people usually do not have buying power, they have a lot of influence. You want to make it easy for them to find what they need and pass it along to their boss. They may download your white papers or check out your blog to see if they like what you’re talking about. It’s also a good idea to provide them with a PDF overview of your products or services – such as a data sheet – so they can easily forward the information to their boss. Your end users want to know that your solution works and will make their lives easier. Provide them with case studies and unbiased reviews from customers who have used your products and services. End users may also be interested in attending webcasts, watching demos, participating in forums and joining user groups. If you sell technology products or services, your customer’s IT team will want to know how your solution will impact their network. Will it simplify things or make things more complex? How easy is it to implement your solution? How will it affect their network security? Be sure that your marketing materials address these concerns. You may need to create separate content geared specifically toward IT to answer these questions. Financial influencers will want to know if your product or service is worth the investment. After all, they are the ones who will sign your checks. Be sure to demonstrate your value in all of the marketing materials that you provide them – such as case studies, ROI calculators, data sheets, brochures, and webinars. Executives want proof that your products or services will help them reach their business goals and achieve ROI. Make sure that all of your content discusses the key business challenges that your customers are facing and how your solution helps to solve these challenges. White papers, case studies, and ROI calculators can be valuable when you want to influence an executive.